China’s ties with the members of the Association of Southeast Asian Nations (ASEAN) remain stable and bilateral cooperation will likely deepen in the coming year. China is likely to accelerate its “One Belt, One Road” (OBOR) strategy, which will inevitably require cooperation with ASEAN countries. Meanwhile, China is willing to keep the South China Sea disputes stable. On the economic front, an upgraded version of the ASEAN-China Free Trade Agreement was signed in November, 2015. 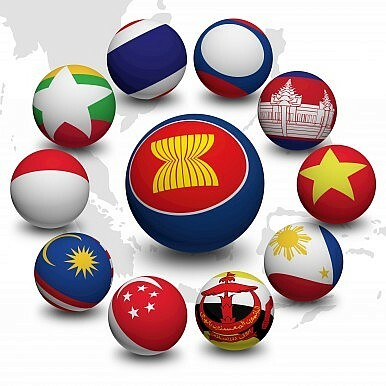 However, negotiations on the Regional Comprehensive Economic Partnership (RCEP), which includes ASEAN members and the regional bloc’s existing FTA partners, will make limited advances to finalize an agreement, because some countries, like India, are reluctant to further open up domestic markets. In addition, economic dyads without bilateral FTAs, like China-Japan, South Korea-Japan, and India-Australia pose another obstacle. Generally, though, China-Southeast Asia relations will be improved next year, with more economic and cultural cooperation between China and ASEAN. In the security realm, multilateral security cooperation, like joint military exercises based on the existing exericses between China and Malaysia, is likely. Meanwhile, tensions in the South China Sea may continue to flare up in 2016, but not as intensely as in 2015. Laos, which maintains friendly ties with China, holds ASEAN’s rotating presidency in 2016 and is unlikely to comment on the dispute in high-profile ways, such as a chairman’s statement (as happened in Kuala Lumpur in 2015). Negotiations on the Code of Conduct in the South China Sea might make some progress in 2016. If Tsai Ing-wen, chairwoman of Taiwan’s Democratic Progressive Party, is elected to be Taiwan’s leader in January, China believes she will pursue de jure independence. In this case, China’s maritime priority will shift to the East China Sea, especially the Taiwan Strait, which means China will take on a more restrained approach in the South China Sea. China will finish its construction on civilian facilities on expanded reefs and rocks to provide public goods to the region, including the two lighthouses brought into service in 2015. However, the possibility of further massive land reclamation is extremely low. In the first half of 2016, the arbitration tribunal will make a decision on the case launched by the Philippines. The tribunal is likely to support some of its claims, which could trigger a new diplomatic crisis between Beijing and Manila. At the same time, the United States will likely support the Philippines, its treaty partner, to some extent, while ASEAN’s members will remain at odds on whether to support the international court’s decision. Additionally, a new Philippine president will take office in June 2016; this leader might take measures to ease the current tensions with China, which could bring both parties back to the negotiating table. The main reason for regional tensions in 2016 will shift from land reclamation to the Freedom of Navitation Operations (FONOPs) launched by the United States. The United States will continue to carry out Freedom of Navigation Operations in the South China Sea, especially in the first half of 2016, which could strain China-U.S. relations and spark further debate on the legal status of the disputed waters. Are these areas territorial seas, exclusive economic zones (EEZ), or international waters? In turn, China may respond with a more assertive approach because it regards such U.S. military behavior as escalatory action. Since the HD-981 oil rig incident, the South China Sea issue has developed along three layers: the balance between great powers, mainly China and the United States; the relationship between China and ASEAN as a whole; and the disputes between China and ASEAN claimant states. Currently, the dynamic is such that the ASEAN claimants stay behind the scenes while the United States takes center stage. This indicates that the United States has changed its stance on the South China Sea, from taking no position to acting in favor of some claimant states. To extend the stage metaphor, Washington’s role has shifted from being a director to being both actor and director. Since 2015, the United States has further pushed China to clarify its claims in the South China Sea by conducting FONOPs. This decision reveals Washington’s misjudgment toward China’s South China Sea policy. Washington should realize that China’s ambitions in the South China Sea are limited and that Beijing has long pursued a restrained approach. China has never explored any oil and gas in the Spratly Islands and has even tolerated the claimants’ driving away, arresting, or even shooting Chinese fishermen. Currently, the land reclamation is compensation, in order to establish an appropriate presence from China in this area. That, in turn, lays the foundation for future solutions, compromise, and cooperation. Beijing never intends to escalate the disputes, as doing so might impact the implementation of the OBOR strategy, especially the Maritime Silk Road in Southeast Asia. China is learning to be a great power, and maintaining freedom of navigation and overflight is compatible with its national interests. It is also willing to play a greater role in the solution of the South China Sea disputes, such as the negotiation of a COC. However, China prefers to hold talks with ASEAN’s members (rather than ASEAN as a whole), and sign the COC based on a concensus, instead of negotiating with the drafts having been discussed by the United States and ASEAN in advance. In that way, both parties can improve the weakness in China-ASEAN relations. Dr. Xue Li is an Associate Professor (Senior Research Fellow) and Director of the Department of International Strategy at the Institute of World Economics and Politics (IWEP), Chinese Academy of Social Sciences (CASS). Dr.Xu Yanzhuo is an Assistant Professor for the Department of International Strategy at IWEP/CASS. The U.S. misunderstood China's position in the SCS and created a self-fulfilling prophecy of Chinese "aggression." Interview: Xue Li on the South China SeaChina Seeks to Woo ASEAN Through SingaporeHow the US Misjudged the South China Sea, Part ISingapore-Kunming Rail Link: A 'Belt and Road' Case StudyThe South China Sea in 2016: What’s Changed?